Giving millions of fans some “Satisfaction,” Rolling Stones frontman Mick Jagger is recovering and in good health after undergoing a heart valve procedure in New York City on Thursday. The 75-year-old rocker underwent a minimally invasive procedure called transcatheter aortic valve replacement (TAVR), a common procedure used to replace worn-out heart valves. Doctors accessed his heart valve using a catheter that was inserted through his femoral artery, avoiding the need to open Jagger’s chest. With TAVR, a replacement valve can be put in place without surgery by puncturing a leg artery, inserting a new valve, threading it up to the heart “and just popping it in place,” explained Dr. Catherine Otto, a professor of medicine at the University of Washington in Seattle. Worn-out valves can be replaced with new ones made from metal or from animal tissue. “It’s a very short procedure — it takes an hour or two at the most,” she told American Heart Association News. The patient stays in the hospital overnight or maybe a couple of days, followed by a week or two of recovery at home, Otto added. That compares with six weeks to three months of recovery for surgery. 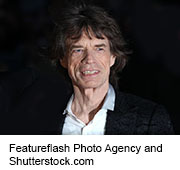 In Jagger’s case, the recovery time after the procedure is much shorter than after surgery, but he has been instructed to rest for four to five days to permit the artery to heal, Billboard reported. And while Jagger could be up and moving in a few days, he’ll need additional recovery time before returning to the stress of live performances. The two valves on the heart’s right side, which pump blood into the lungs, are rarely a problem, said Otto, who is also co-chair of the committee that wrote the latest American Heart Association guidelines on heart-valve disease. It’s the valves on the left side, which pump blood into the body, that are most often the problem when something goes wrong, she said. If one of these valves gets smaller, blood can’t continue to flow without the heart working extremely hard, Otto told AHA News. And if a valve leaks, the heart has to pump extra blood to make up for it. “But even people who have no risk factors, including athletes, can develop problems,” he said. There’s more on heart health at the American College of Cardiology.